The 'Eye Catcher is a spacious 31' Baha Cruiser powered by twin 5.7 liter Volvo engines. With a roomy 11 1/2' beam and 112 square feet of cockpit space, you'll have plenty of room to fight the big one! This vessel has a complete array of state-of-the art navigational and fishing equipment including a Furuno Hi-Def color fish finder, Garmin GPSMAP 820 with Sirius XM weather radar, Garmin HD18 Hi-Def Radar, Fish Hawk X-4 Trolling System, Cannon electric downriggers, VHF Radios, and all fishing rods are equipped with Daiwa Saltist reels. The 'Eye Catcher meets all U.S. Coast Guard safety standards and is certified to carry 6 passengers in comfort and luxury. Inside the plush cabin you'll find a full galley including an electric range, microwave oven, refrigerator, and a private stand-up head with shower. The Skipper is Capt. Dan Graziano. Capt. Dan is Master Licensed with the U.S. Coast Guard and a licensed guide with the PA Fish and Boat Commission. 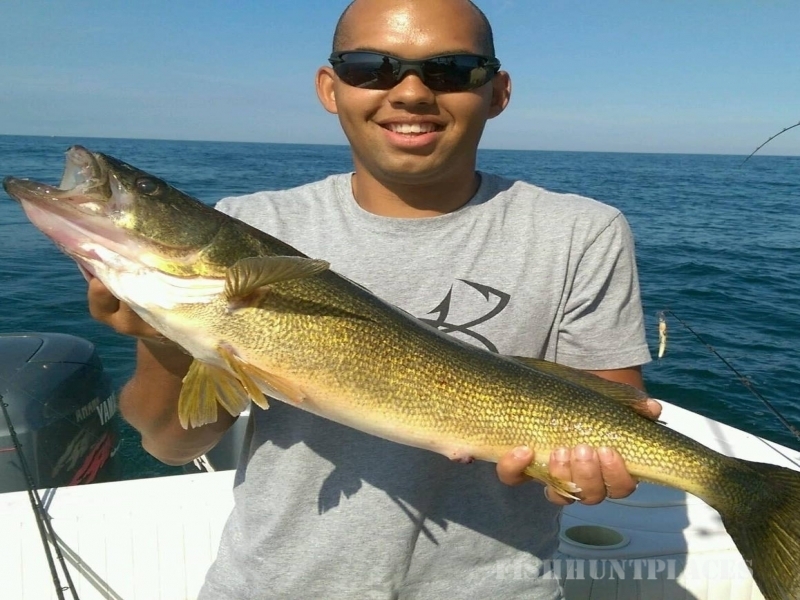 With over 45 years of experience fishing Lake Erie, 24 of those years as a charter boat captain, he is very knowledgeable in the migrating, spawning, and eating habits of all species of fish in Lake Erie. No matter what time of the year, he always has a keen sense of where the fish are.